This product is individual cry-o-vac sealed and frozen. Premium Compart Duroc Pork is the pinnacle of fine pork. Bright reddish pink in color, Compart Duroc pork contains a higher degree of natural marbling, which translates into a more tender, juicy and flavorful dining experience. With its natural marbling and delicious flavor, Compart Duroc Pork will awe even the most discriminating customer. 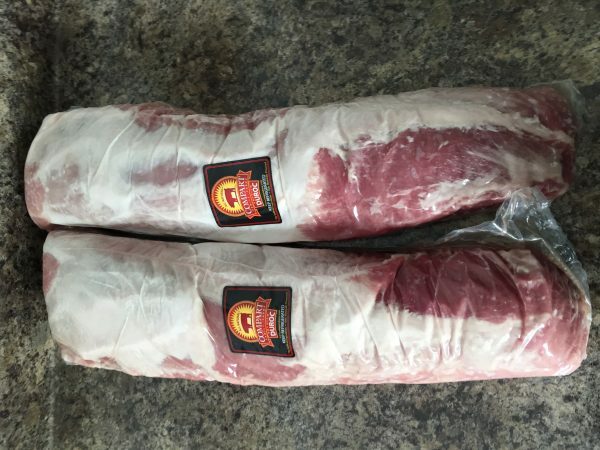 (2) Boneless Strap Off Loins approximately 7.5 lbs each. Cry-o-vac sealed and frozen.